I love ginger. Fresh, pickled, crystallized, preserved and every way in between. 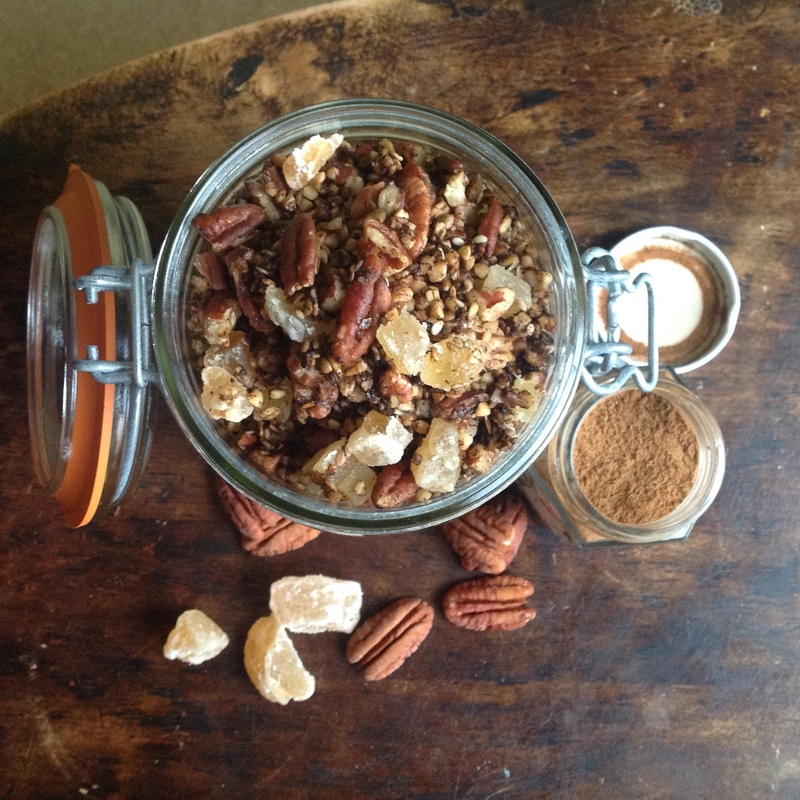 But I love it best in gingerbread form: cookies, houses, lattes and now granola! I have been playing around with making granola in my slow cooker, rather than in the oven, and it makes it so much easier and gives a more consistently crunchy and evenly toasted cereal. The best part about making your own granola is that you know exactly what is in it. The other bonus is that you can get all creative and come up with customized flavours. 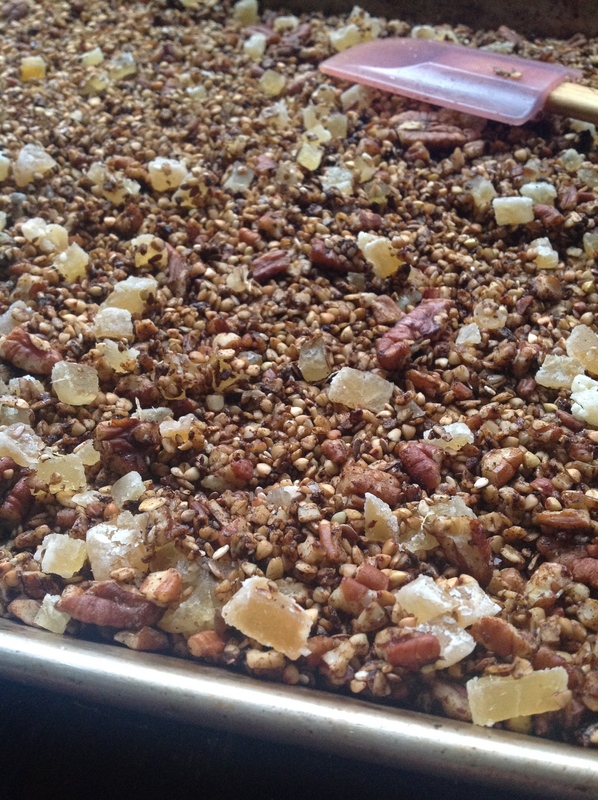 Inspired by my Epicure Gingerbread Spices, and the recent dessert for breakfast trend, I decided to make a healthy and delectable granola. Granola is pretty easy to make and the measurements don’t need to be precise and by using a slow cooker, you don’t have to watch it to make sure it doesn’t burn. The pain of dumping most or all of a burnt batch of granola in the garbage is not something I wish on anyone. 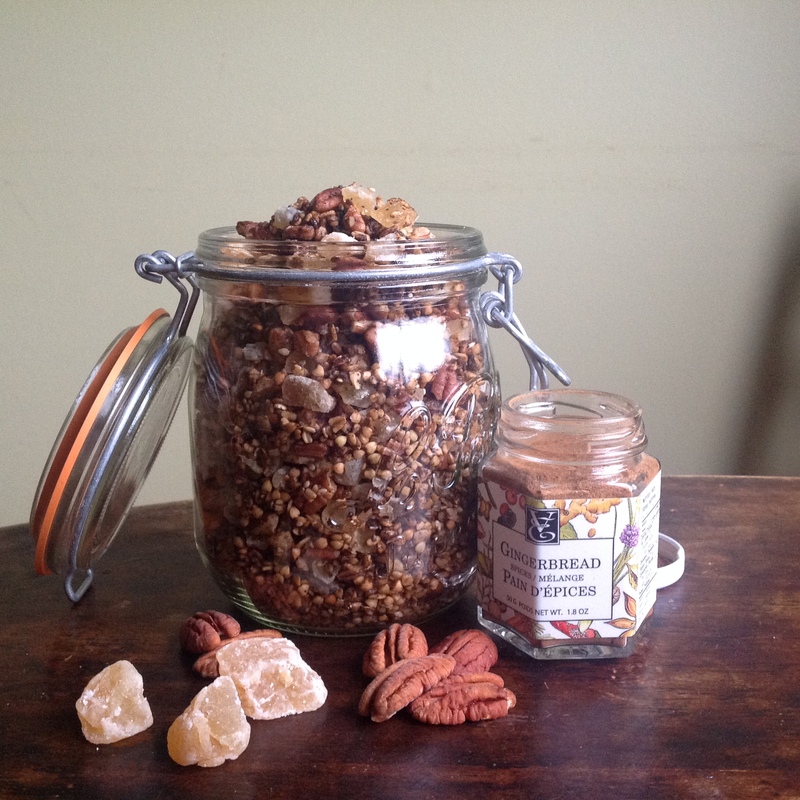 One of the joys of granola is that is ridiculously adaptable, feel free to increase, reduce or switch up anything! Try it on cottage cheese, Greek yogurt or fruit salad! I’ve also made Aloha Granola (pineapple, papaya & coconut) and Maple Walnut Granola in my slow cooker. What’s your favourite Granola flavour? See my list of available samples of Epicure product by clicking here. Posted in Breakfast, Diabetic, Gluten Free, Ingredients, Kid Friendly, Nutritarian, Recipes, Snacks, Treats, Vegan, Vegetarian and tagged Breakfast, brunch, buckwheat, celiac, easy, epicure, epicure selections, flax, flax seeds, fun, ginger, gingerbread, gluten free, granola, healthy, maple syrup, molasses, oats, pecan, recipe, sesame, sesame seeds, slowcooker, spices, Steel Cut Oats, tasty. Bookmark the permalink.